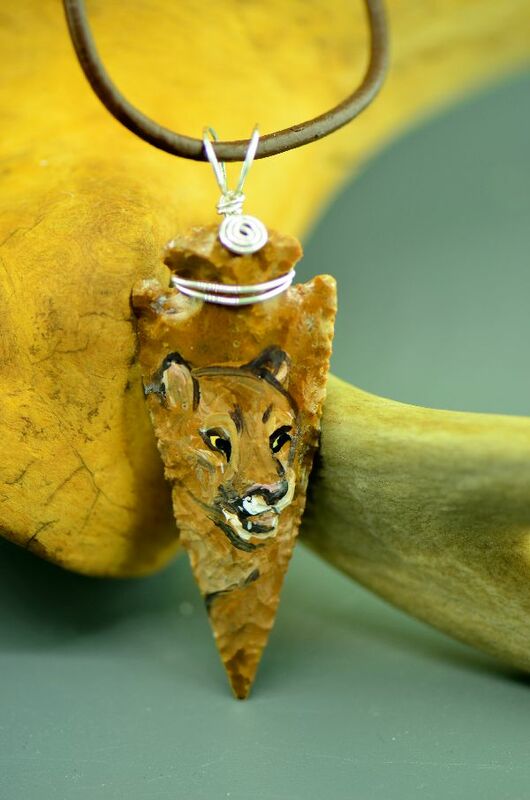 This hand carved arrowhead is created by DuWayne Turpen, Navajo. 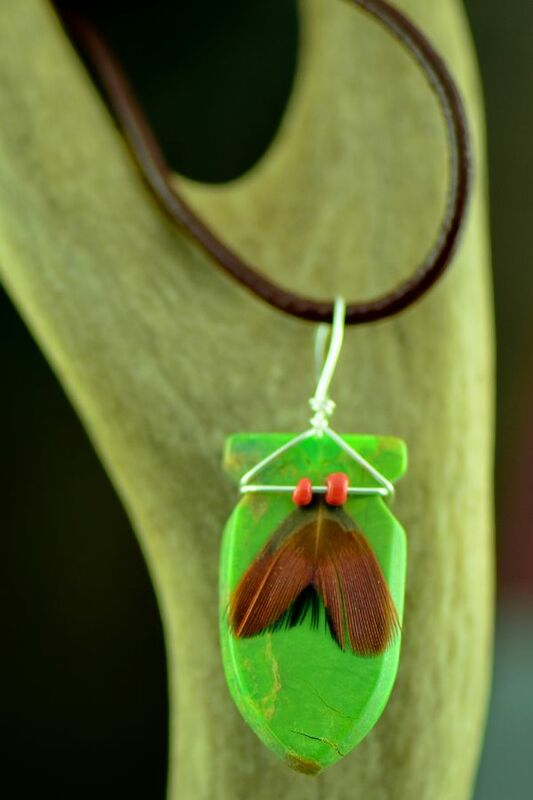 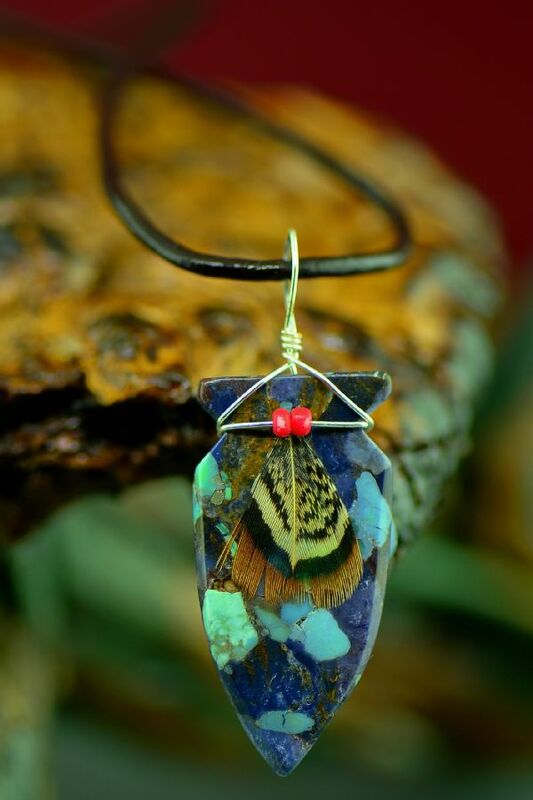 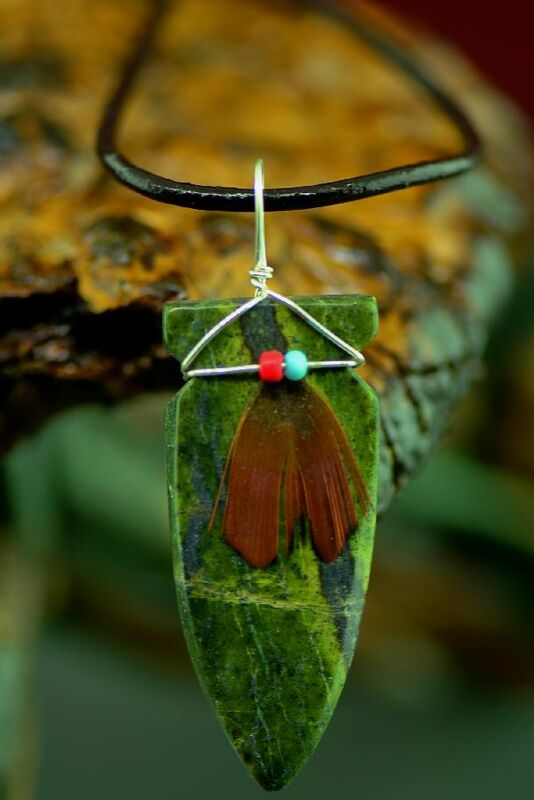 It is hand carved from Kingman Green Mohave Turquoise and has a gift bundle that is made of a 2 coral beads with a feather. 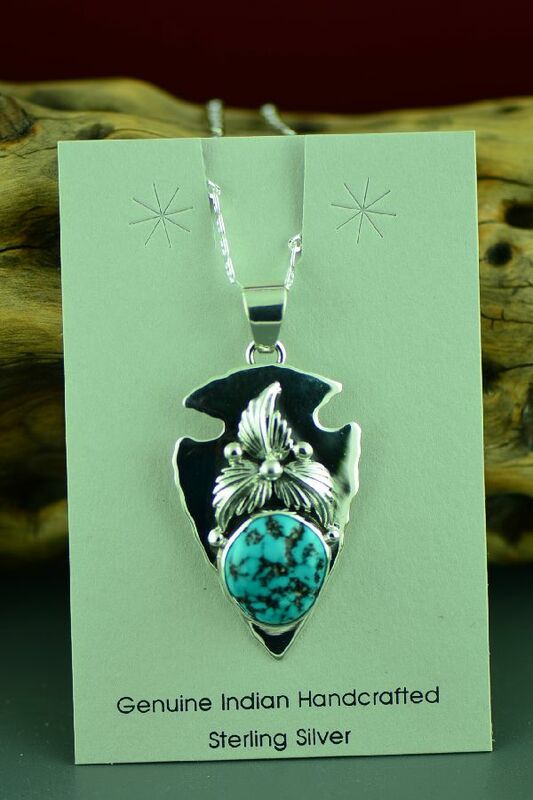 It is sterling silver wrapped. 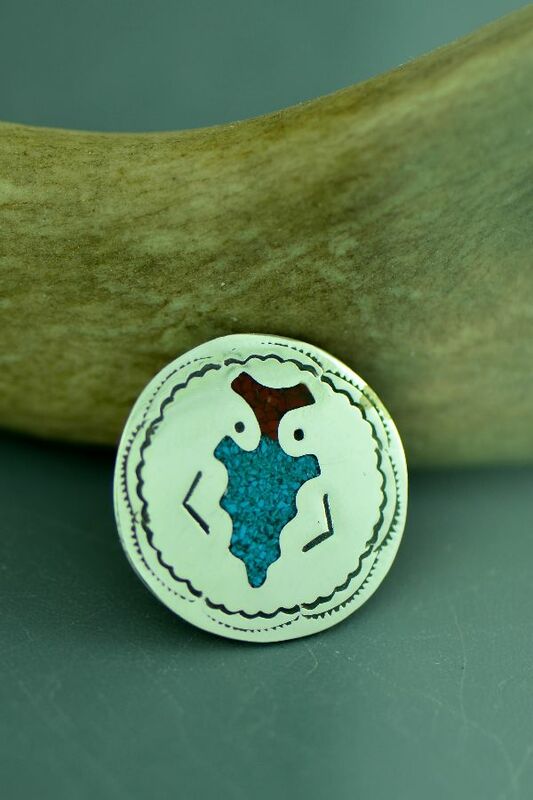 It measures 1-3/4” tall and 5/8” wide. 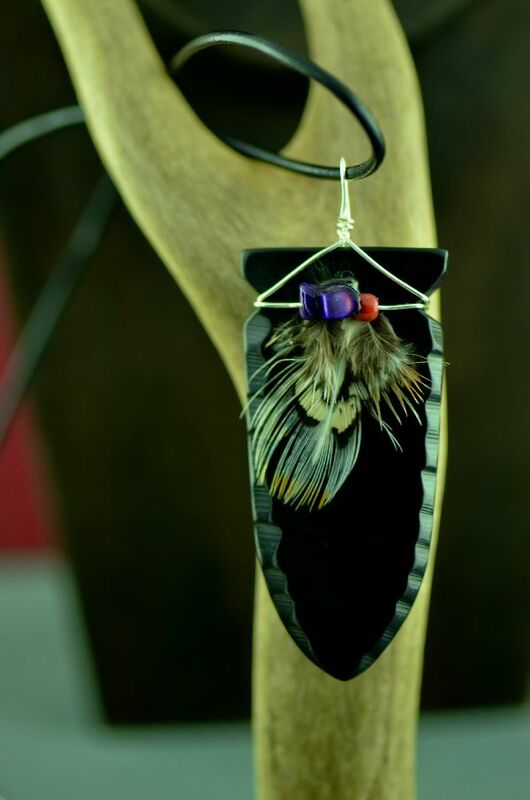 A complimentary 20” brown leather necklace is included.